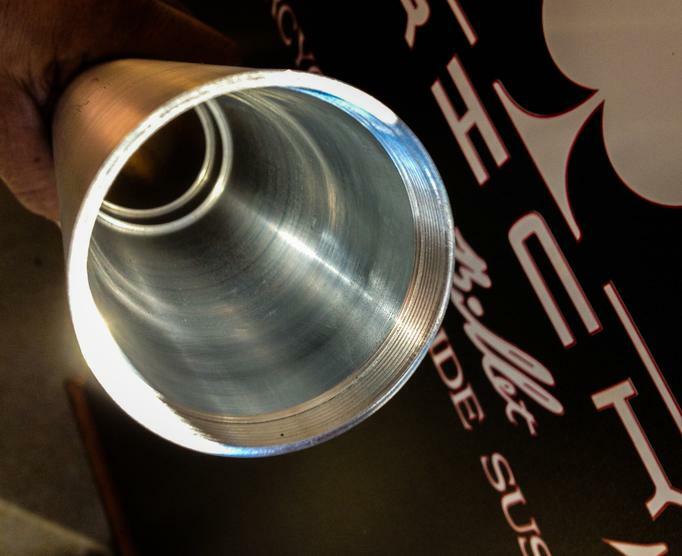 Tricky Air & Billet Inc. 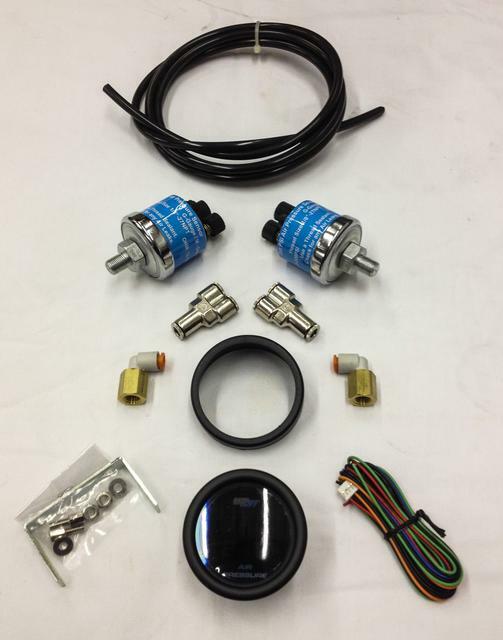 Tricky Air & Billet is your leader in Air-Suspension and Billet products. 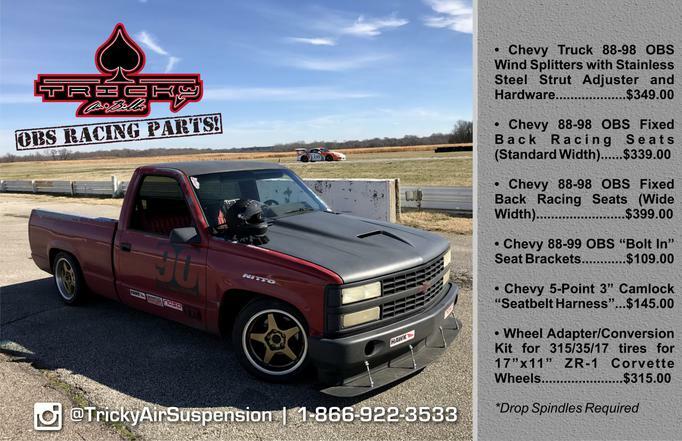 This site was made to inform you of all the different air suspension products that Tricky Air & Billet manufactures for all different makes and models of motorcycles. One of our latest products are the FLH/FHT 41,49 & 55mm 9 degree raked "Tricky Trees". 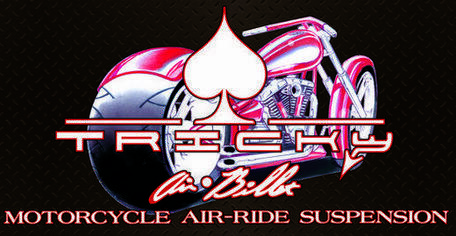 Tricky Air & Billet is the first company to manufacture front air-suspension kits for several different motorcycles. Please feel free to explore our site. More information is being added daily. Call us if you have any questions. Tricky trees allow you to rake your bike to a total of 35 degrees without cutting your frame (Bolt on)! Have you seen the concept bike from Honda? It is named the "Slammer". This bike features TAB's newest front air-suspension named the 55mm STD. 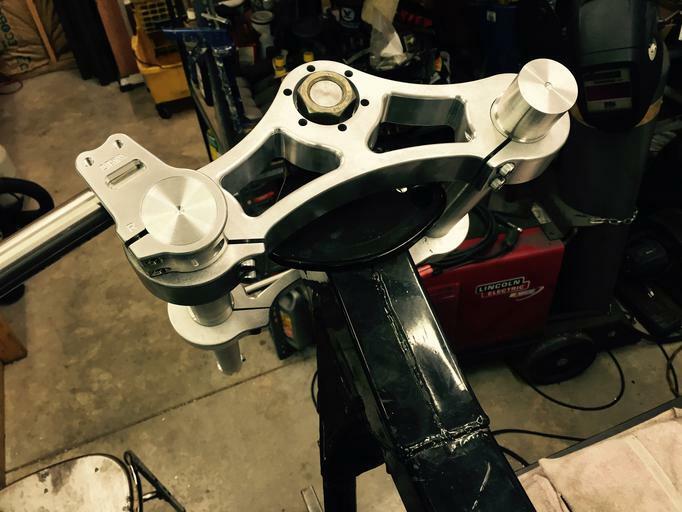 Based on 5 degree rake trees with hidden lines, this new front-end is going to change the way a lot of factory bikes look. More info will be on the Projects page. Super New!!! 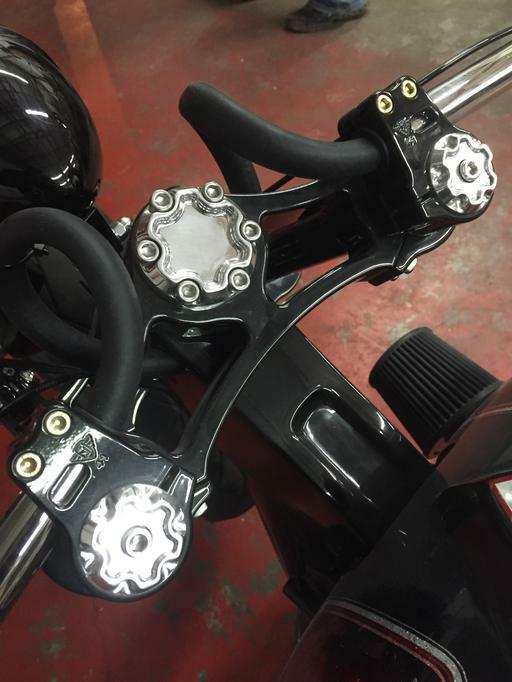 Elite Series Shocks for HD-FLH (Baggers). Our new shocks have the most amount of travel then any other shocks out there (4.0 inches of stroke). New Center hole to center hole is 9.6. 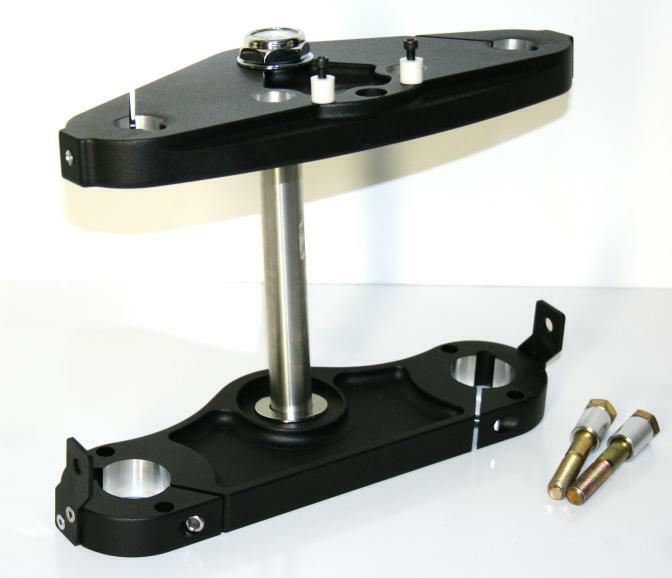 We have started to incorporate bearings on all of our top mounts. 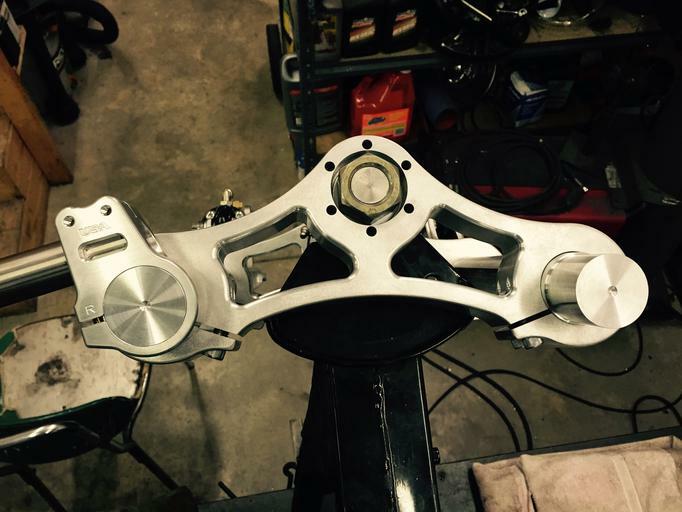 This helps with any misalignment that the swingarms may have. Click Here for more info! 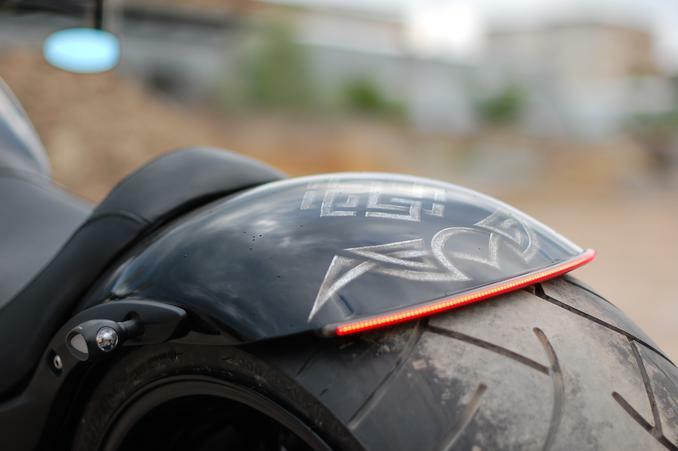 ​Series 001 Roadglide with 9-degree trees & F/R Air-suspension! 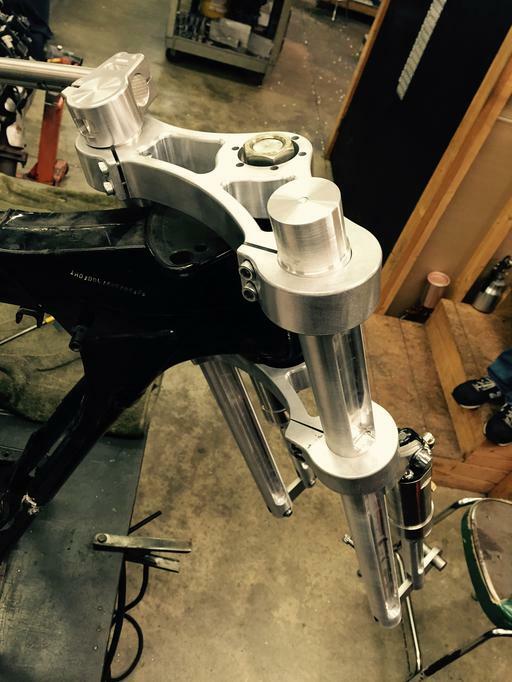 The first of a new line of HD-Touring models featuring Tricky Air & Billet's front and rear suspension bikes has started to be built. 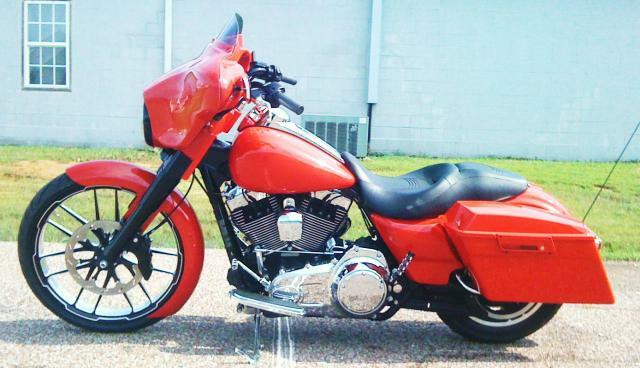 A 2012 Roadglide has been chosen to be the first in a series of "Performance Baggers" that we will customize. 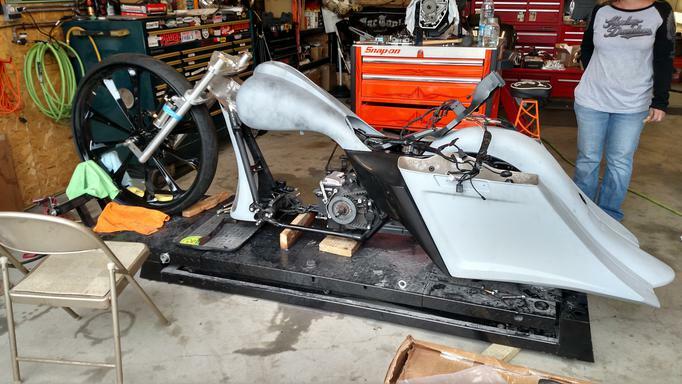 Series #001 is already on it's way, check out the projects page to see the build before we put it up for sale. NEWS!!! The 001 will be coming out in the April issue of "RoadIron" magazine! For the best results we only use the finest materials! 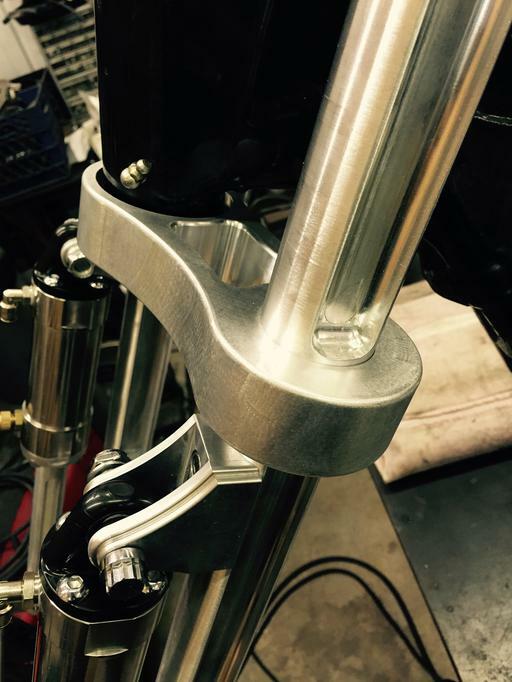 In both our front and rear suspension kits as well as our triple trees we use T-6 6061 aluminum and 304 stainless steel. We are very proud to say that everything we manufacture is made here in the USA. Tricky Air & Billet Inc has decided to create a division within itself named " Performance Baggers" This is not a new way of thinking, just away of communicating with our customers on what the practical use of there baggers can really be. Because TAB was the first company to develop bolt on 9 degree raked triple trees (est.2008) we knew that the bagger market was going to explode. 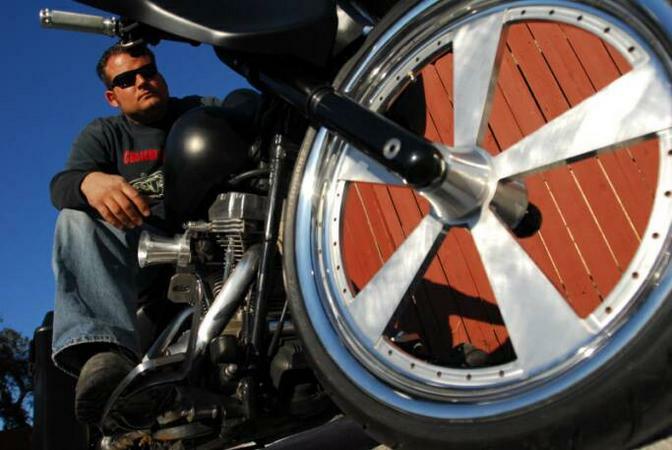 A lot of companies and smaller shops wanted us to create front and rear air suspension that would make bikes slam on the ground. Now we knew that this look was great for pictures,but was it really practical for the everyday rider? Please click here to find out our recipe for a "Performance Bagger". 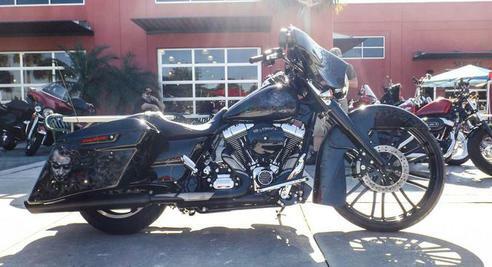 Check out this 2012 Street glide built by the guys at "Bad Dad" using all there bolt on parts. This bike features TAB 9 degree rake "Tricky Trees", TAB front air-suspension forks and TAB rear stainless steel air suspension. Call or email us for more details. This is just a short video of the "Series 001" at 110mph with our 9 degree bolt on "Tricky Trees". 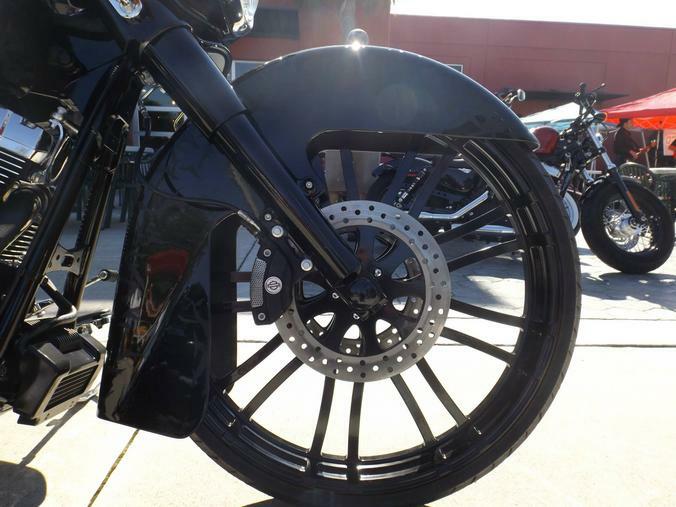 This bike also has our "Tricky Ten Spoke" 23 inch wheel, TAB's "Drop Top" fender, front and rear stainless air suspension and bunch of other accessories. The next video will be @ 120. 9 degree bolt on "Tricky Trees" @ 110 MPH! 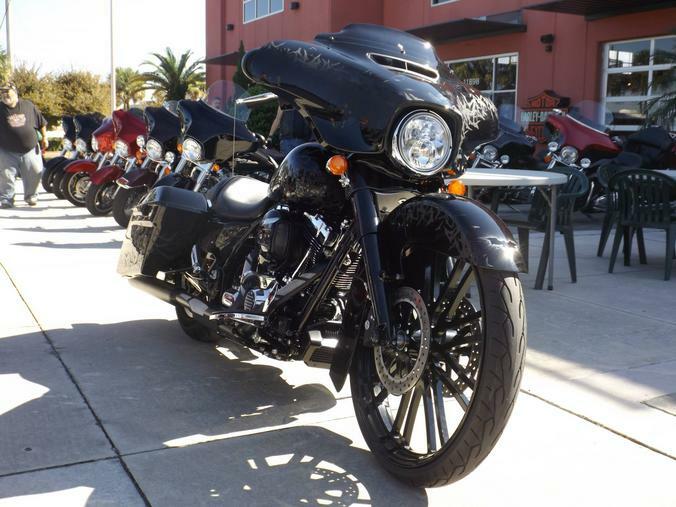 2014/15 HD Streetglide 9 degree "Tricky Trees" are now available!!!! 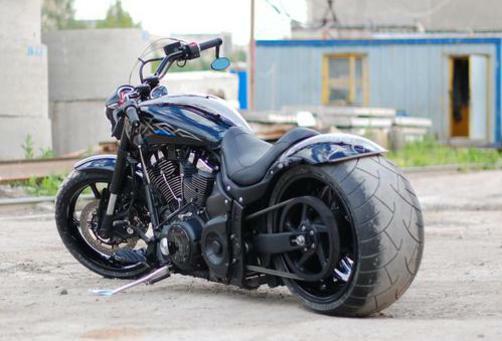 Here are two great examples of a Russian built Yamaha Warriors featuring a Tricky Air-ride suspension kit. With love from mother Russia!!! Brain Veney from BVD chooses to only build his bikes with the best components he can get his hands on. That's why Brain Veney chooses TAB suspension to get the job done! When quality can not be compromised run with the only company that professional bike builds use. Thank you Brain keep raising the bar. That's right it is a Roadstar! 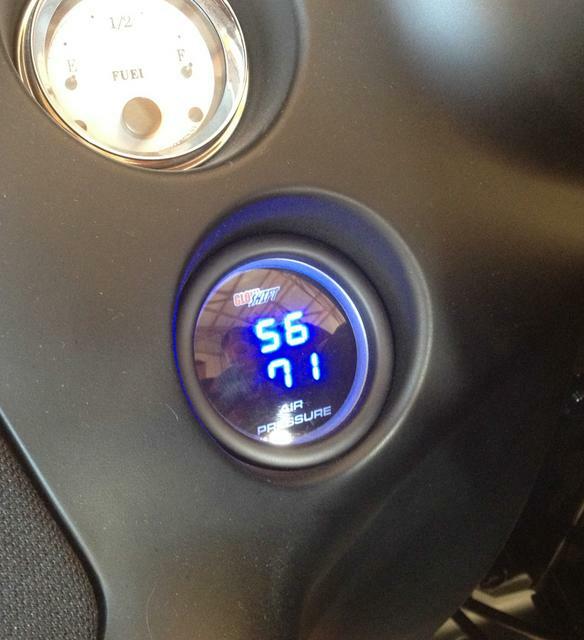 TAB increases stroke to 4 inches on our front Air-Suspension legs. TAB has increased the stroke from 3'' to 4''. This increases the amount of room that the piston has to play in. Having more piston travel helps out the comfort level of the over all ride. CLICK HERE for more information. "Naked 9" raked triple trees with "Low-Boy "-extended front air suspension! 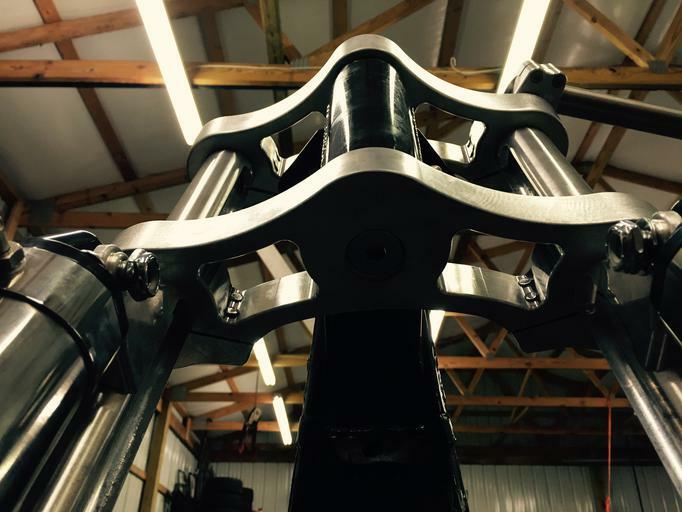 The "Naked 9" raked triple trees was invented for a cleaner look for your FLH bagger style frame. 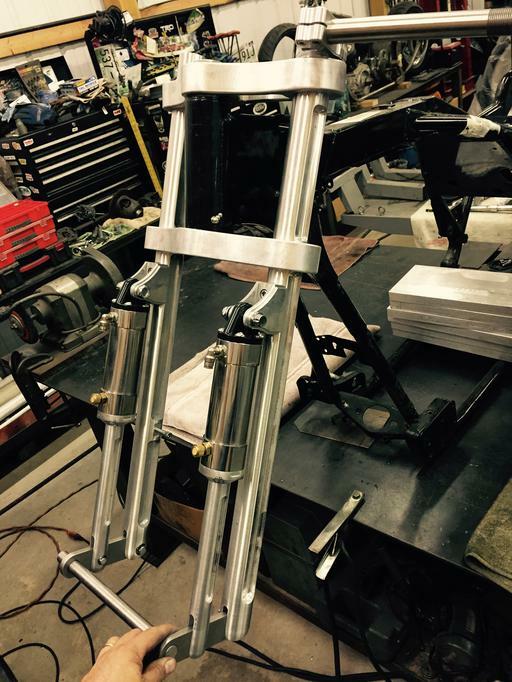 We will be producing these trees to fit 41mm,49mm.1.75"dia,2.25" and our 55mm front air-suspension forks. "Hot Mess" built by the team at Barn Yard Baggers. Yes! that is a first place trophy for "Baddest Bagger" at the Lonestar ralley in Galveston, TX. The Team at Barnyard Baggers do it again!! 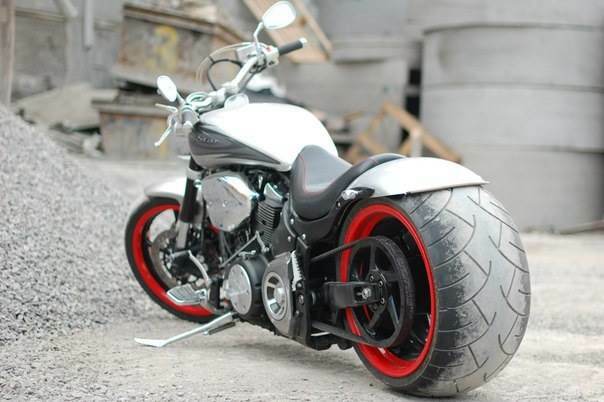 Check out this 32" wheel Roadking featuring TAB's rear "Elite Series" shocks on there lay frame swingarm. Taco from Taco's Custom Cycles in Daytona Florida built this beautiful rigid frame bobber using our "Cantilever" front end and debuted it at Michael Lichter's show "Motorcycles as art" during the 2017 Sturgis rally. We think Taco did an amazing job!